To protect against the possibility of losing mains power, which could cause economic loss, loss of power, loss of lighting, loss of life support equipment, loss of production, loss of data storage and loss of products, human life or livestock. What is the difference between an electric or manual recoil generator? These days recoil start generators are easy to start. It depends on what you would prefer. Manual Recoil Start Generators are hand operated, whereby you start the generator with a pulling motion on a cord. Electric Start Generators are key started with a battery attached. Electric start generators are ideal for people who just don’t have the strength or power to start a recoil start generator. What is the difference between a petrol or diesel generator? Petrol Generators are primarily designed for not running for extended periods of time at maximum load. In addition, petrol generators, because of their simpler design, are less expensive than diesel engines. Diesel Generators are primarily designed to operate between 60% and 100% load for extended periods of time and are more fuel efficient. Why should I buy a Powerlite generator? Not all Generating Sets are the same … please examine the Powerlite difference. Manufactured in Sydney, Powerlite Generators are only powered by the most reputable brands which include B&S Vanguard, Honda, Yanmar & Hatz engines mounted in heavy duty frames with angle anti vibration mounts. By utilizing the latest innovative alternator design technology, Powerlite offers a superior power to weight ratio with savings up to 25 kgs in weight which is an important factor with the current Workcover lifting regulations. The complete Powerlite Product Range is Australian Standard compliant which includes IP23 to IP66 weather protection, plus market leading electrical quality resulting in low harmonic distortion sine wave power. With dealers all over Australia, we are sure to have one near you. What makes up a standard portable generating set? What do you need to know if you are installing a stand by / prime power generating set or a portable generating set to a fixed location? Location: Should be easily accessible for service and maintenance. If a generator is located outside, it will need to be fully enclosed, so the weather can’t affect it anyway. Canopies are ideal for generators outside. Mounting: Generators needed to be placed on a level base, preferably concrete and should have anti vibration mounts fitted. If a generator is being installed on soil or on a roof you should consult a civil engineer. Ventilation & Cooling: A generator should only be used in a well ventilated area to ensure the generator stays cool and to remove excess heat produced through engine combustion. Exhaust: Where installed internally, the exhaust must be piped external to the building as exhaust fumes are toxic and dangerous. Can a generator be wired into my home electrical system, so when the mains power is cut off the generator will cut straight in? Yes, generators can be wired into your home electrical system, so when the mains power is cut, the generator automatically kicks in. This is possible with the use of an Automatic Transfer Switch (ATS). Wiring a generator should only be done by a qualified electrician. Manual Transfer Switch (MTS) can also be used, this is where you need to manually start the generator after the mains power has been cut off then switch the power supply from mains to generator supply. The reverse will need to happen when a stable mains power supply has been returned. How long will a generator run for on a tank of fuel? This depends on several things – the engine size of the generating set plus what load the generating set is operating at to determine the engines fuel consumption. Then divide this into the fuel tank capacity to give you the anticipated run time between refuelling. What is the warranty cover on our generators & Goliath lights? Warranty is subject to inspection by Powerlite, an authorised service agent or the manufacturer. Warranty claims take into consideration that the user has followed the manufactures servicing and maintenance requirements. A well kept maintenance log book is important for warranty claims. All Powerlite Portable Generators come with a 24 month (from the date of original sale) warranty. Petrol Engines (Honda and Briggs & Stratton) come with a 3 year (from the date of original sale) warranty and Diesel Engines (Hatz, Yanmar & Lister) come with a 2 year (from the date of original sale) warranty. Alternators come with a 24 month (from the date of original sale) warranty. SMC Lighting Towers come with a 12 month (from the date of original sale) or 1000 hours warranty. 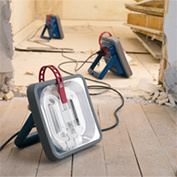 Goliath Professional Worklights come with a 12 month (from the date of original sale) warranty. FG Wilson Generators come with a 24 month (from the date of original sale) standby application warranty. Where can I get warranty work done on my generator if needed? We have a very comprehensive service department located at Kings Park or we can advise you of the closest service agent to where you are located. Get more information at What Size Generator Do I Need? What happens if I under load a generator? Engines are designed to operate under varying load, which ranges from maximum to minimum. In relation to diesel generators it is recommended they run at a minimum of 60% load, this insures the engine runs at maximum efficiency. A diesel engine that operates on a light load for long durations runs the risk of glazing the cylinder bore. Should this occur the engine will not hold high loads, it will use excess oil, and blue smoke will be visible from the exhaust. The engine then may require costly major repairs. What type of oil does a generator use? Oil is a major factor effecting the performance and service life of a generator. Petrol Generators – use 4-stroke automotive detergent oil. Use 4-stroke motor oil that meets or exceeds the requirements for API service classification SJ or later. Always check the API service label on the oil container to be sure it includes the letters SJ or later. SAE 10W is recommended. Diesel Generators – use API service classification CD or higher … please refer to your engine operation manual for engine oil viscosity. Running a generator with low oil level can cause engine damage and this damage is not covered by warranty. Change the engine oil regularly – your generator oil should be changed after 20 hours of initial operation or at the end of the first month and every 3 months or 100 hours thereafter. When changing your oil, drain the oil while the engine is warm, as later it may be difficult to drain the oil completely. Only use the engine oil specified. Other engine oils may affect warranty coverage, cause internal engine components to seize, or shorten engine life on the generator. Prevent dirt and debris from contaminating the engine oil. Carefully clean the oil cap / dipstick and the surrounding area before you remove the cap. Never mix different types of engine oil. This may adversely affect the lubricating properties of the engine oil. Always refer to the operation manual of the engine, supplied with the generator for the correct oil type required. What type of petrol does a generator use? Petrol generators use regular unleaded petrol containing no more than 10% ethanol (E10) or 5% methanol. If you use fuels with content of ethanol or methanol greater than shown above this may cause starting and/or performance problems. It may also damage metal, rubber and plastic parts of the fuel system. Engine damage or performance problems that result from using a fuel with percentages of ethanol or methanol greater than shown above are not covered under warranty. Amps (A) – Unit of electrical current or electrical flow. kVA (Kilo Volt Amps) – Unit used for the power in an electrical circuit. kW (Kilo Watts) – Is equal to thousand watts. This unit is typically used in the output of power for engines, electric motors, tools and appliance. 1 kW is equal to 1.34 hp. kW is the rated unit of power when complying with the Australian Standard AS2790. Power Factor (Pf) – True power (unity) is measured in Watts 1.0 and reactive power is measured in Volt-Amps-Reactive (VAR) and is a common multiply of 0.8 is used. Horsepower (hp) – Units of measurement of mechanical power. DOL (Direct on Line) – A Method by which electric motors are connected to an electrical supply for electric motor starting multiply running amps x approximately 6 times and size the generator based on the starting requirements. Lux (lx) – A measure of illumination, equal to one lumen per square metre. Lumen – A unit of luminous flux, typically the measure of how much visible of how much visible light is given off by a particular light source. An example is: A 23 watt compact fluorescent lamp emits about, 1,500-1,600 lm. The Powerlite PTO / Tractor generator is ideal for farmers as they are reliable and simple. They are manufactured in Australia, which is ideal for service and spare parts, if required.